2012 Road Trip Photos #36: Little Museum on the Prairie « Midlife Crisis Crossover! After two major attractions and lunch at Freddy’s Frozen Custard and Steakburgers, we finally exited Hutchinson and pursued other Kansas fancies on Day Eight. 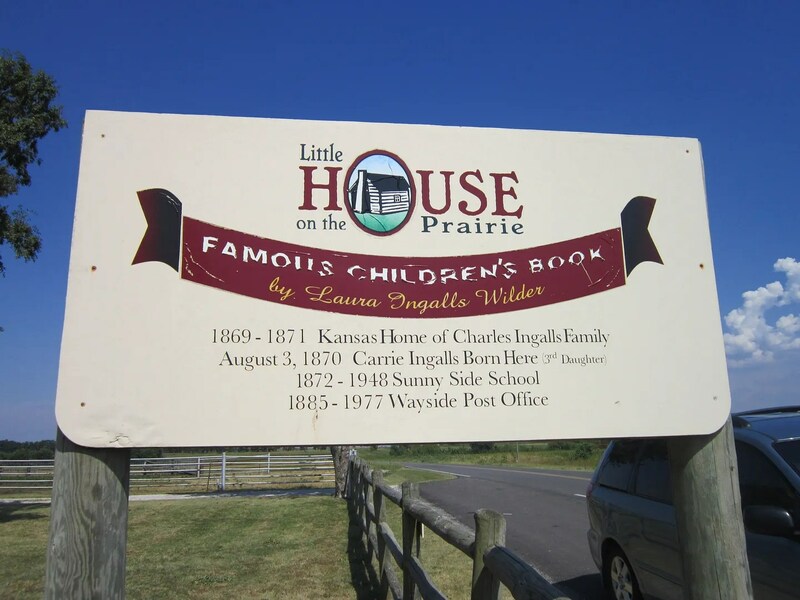 We headed southeast, skirted the perimeter of Wichita, wound our way down I-35, and negotiated the offroad highways leading near the town of Independence to one of several Midwest locations that once housed the original Ingalls family, stars of the biographical Little House on the Prairie series that was mandatory reading for all women of my wife’s generation. As you can imagine, this short stop in the middle of drought-stricken agrarian territory was for her benefit. We were a long, long way from the manly gadgetry of the Kansas Cosmosphere. Lest you think you’re trespassing on some stranger’s ramshackle farm foreclosure, a handy modern-day sign establishes the location’s credentials. According to my wife, the Ingalls family moved here in 1869 because land became plentiful after the native residents were reportedly evicted. They lived near Independence for a little over a year until they were forced to leave when they learned how misinformed and out-of-bounds they were, according to one tourism website that exposes the family’s seamy underbelly. 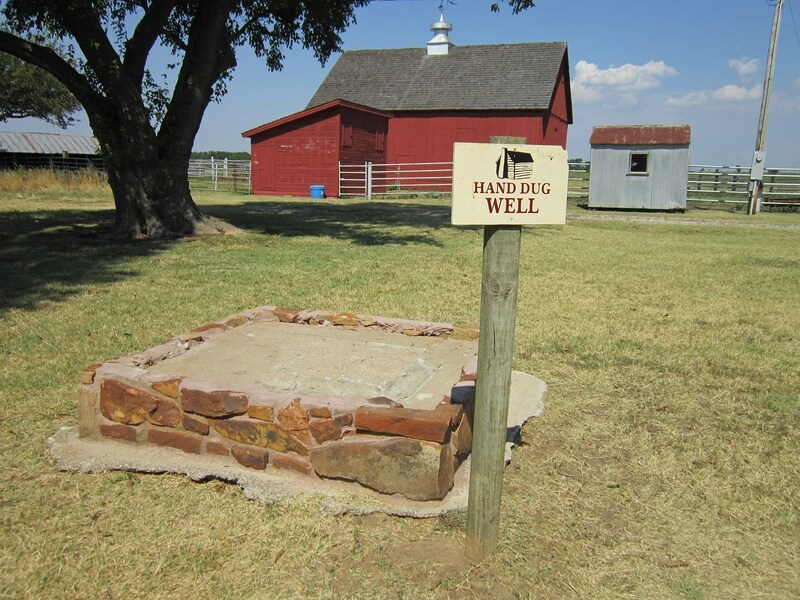 The centerpiece of authenticity on these grounds is this now-sealed well, which children’s-book archaeologists believe was originally dug by the hands of criminal squatter Charles “Pa” Ingalls himself. The buildings contain recreations of what nineteenth-century life inside these houses might have been like. 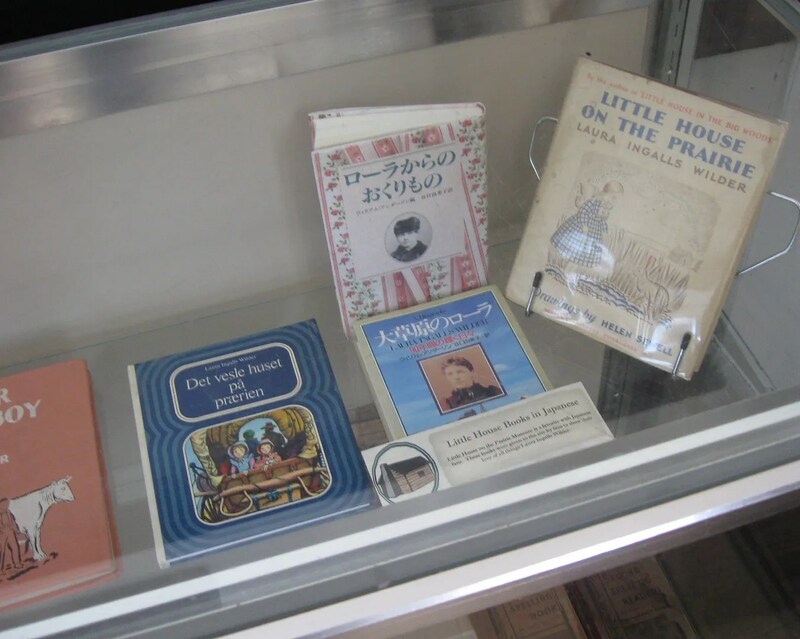 This display case showcases the many languages into which Little House has been translated for overseas young-miss readers. Japan went one step beyond and even adapted it into an animated series called Laura, the Prairie Girl, the reality of which forced me to forgo the original punchline to this paragraph. 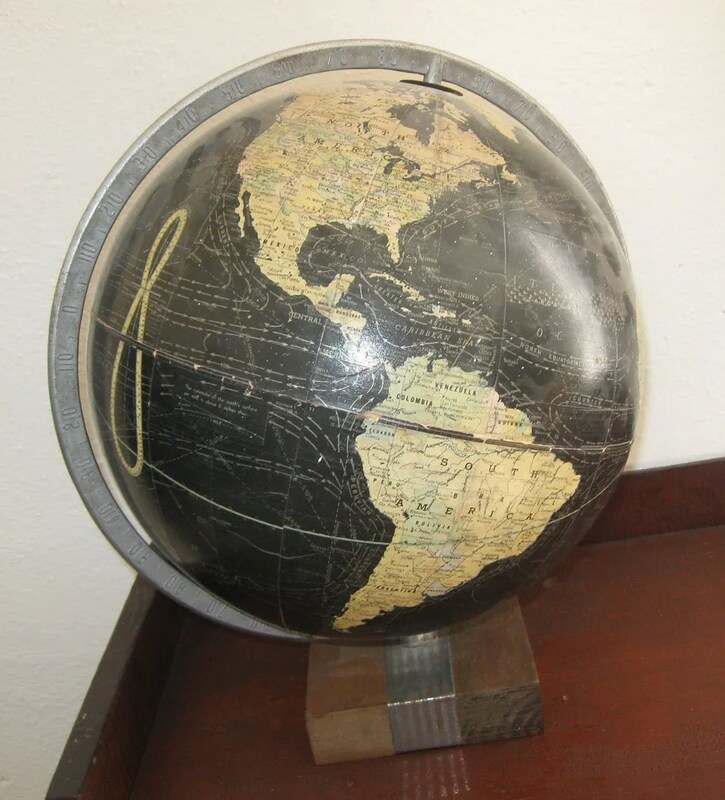 Another souvenir from their era: this nineteenth-century globe, designed when the world was blacker and supported far fewer countries. 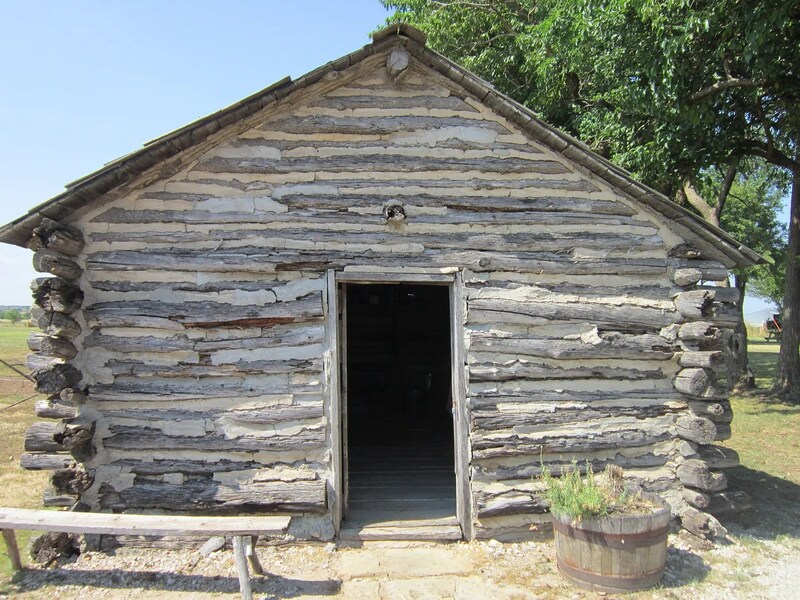 Other than the well, all of the standing structures are attempted simulations of the illegal holdings of the Ingalls gang, even this seemingly innocent log cabin. It looks just as sincere as any of the three thousand Abraham Lincoln tourist sites dotting the American landscape, doesn’t it? Not so fast, gullible traveler! 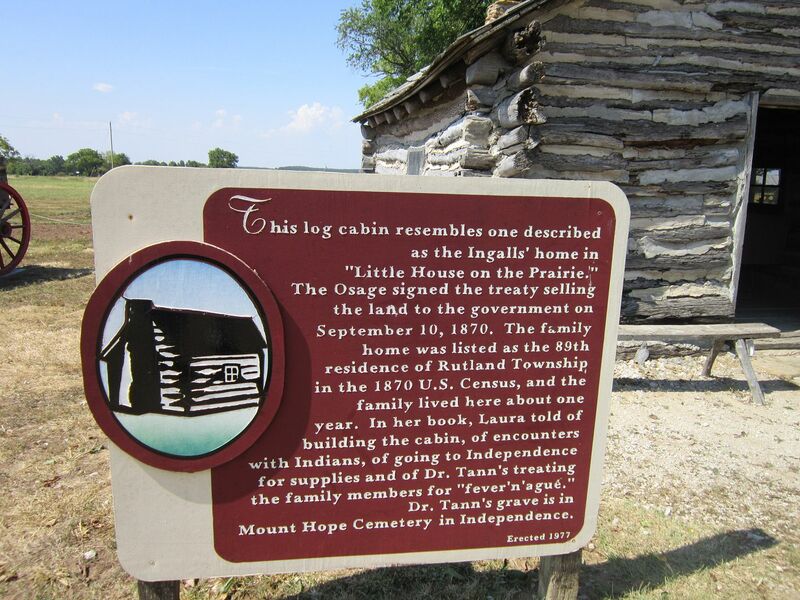 This mandatory sign next to Faux-Casa Ingalls reveals the truth behind the cabin and about Laura’s time spent in its forebearer. …when Pa came back he was balancing a watermelon in front of him on the saddle. He could hardly carry it into the house. He let it fall on the floor, and dropped down beside it. “This watermelon grew in the night air,” said Ma. “I do believe you would,” said Ma, handing him the knife. …Ma would not taste it. She would not let Laura and Mary eat one bite. But Pa ate slice after slice after slice, until at last he sighed and said the cow could have the rest of it. Next day he had a little chill and a little fever. Ma blamed the watermelon. But next day she had a chill and a little fever. So, they did not know what could have caused their fever ‘n’ ague. Take this lesson to heart, kids: night air is bad for you. Before sundown unleashes all manner of poisons and demons, be sure you’re home by the end of every afternoon and buried safely under your covers, where the wrong kind of oxygen can’t contaminate you or your dinner. As a special bonus for my faithful readers, please enjoy this fan-made clip which splices American TV footage with the actual opening from Japan’s Laura, the Prairie Girl. If an obsessive encore of this lost curiosity becomes a must for you, Vimeo also has an episode excerpt dubbed into Spanish.